Change of residence is one of the causes of high stress as indicated by the Holmes & Rahe Stress Scale, but GoMadrid has partnered with a professional relocation company in Madrid to make your move to Spain as stress-free as possible! We can give you access to a highly specialised organisation committed to assisting nationals and internationals relocate to Spain. The objective of these relocation experts is to provide a seamless integration into new surroundings for every one of our clients, using professionals whose mission is to be the market leader in quality. We can make available to you a team of multilingual professionals who have been providing relocation services in Madrid since 2000. Many of them relocated to Spain themselves, and their personal experience has shown us exactly what services should be provided to ensure a smooth and trouble-free relocation. Individual support and competence are the core values of this philosophy. 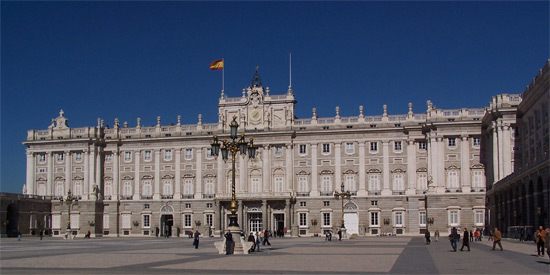 Each member of the team has in-depth specialized knowledge of Madrid and many years of experience in relocation. The counsellors have excellent problem-solving skills, are good at communicating, thorough, flexible and above all are motivated to serve our clients. As our clients' personal agents, we do not provide standard solutions, but valuable customised services for each and every individual case. Saving time and money. A relocating expatriate is an expensive investment - leaving him to deal with new job responsibilities as well as a new environment, family concerns and practical problems, is a false economy. An initial questionnaire and telephone call enable us to custom-tailor a programme to suit your unique needs and requirements. It is important that a relationship of trust develops between client and counsellor, in order to help identify needs and concerns that might otherwise not be made known. With this end in mind, one of our counsellors will personally guide you and your family throughout the whole relocation process. Contracting telephone, water, gas, electricity, etc. Organisation of bank accounts, vehicle rental or purchase, language courses, medical services, baby-sitters, cleaning services and more. Help with Visas, Residence or Work Permits, Driving Licences, etc. Assisting the expat with bank accounts, credit cards, insurance and more. Help with setting up a new office. Departure assistance: termination of contracts, removal & shipment coordination, forwarding of correspondence, cancellation of insurance and domestic utilities. Please use the form below to send us your details. This information will be sent immediately to our Madrid Relocation Services partner, who will contact you to further establish your requirements. Please enter the code displayed in the security image above.